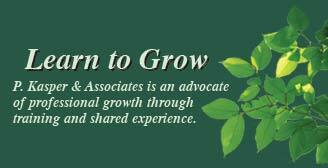 Patty Kasper has provided clinical research training and operations services through P. Kasper & Associates since 1995. She has created a variety of training programs with hands-on interactive learning exercises. She works collaboratively with several other senior clinical research consultants to bring well-designed training programs to the biopharmaceutical and device industries. Ms. Kasper has direct experience with Phase 1 through 4 clinical research trials in numerous indications. She has directed studies in the US, Canada, and Europe. Patty has written standard operating procedures (SOPs) for numerous biopharmaceutical companies over the last fifteen years. Many clients have asked her to write or update SOPs, then train the staff on the new procedure. She has been on the faculty of the University of California Santa Cruz Extension since 1999 where she teaches one of the core courses for the Clinical Trials Design and Management Certificate Program. Ms. Kasper received her BS and MS from Washington State University in Bacteriology and Public Health and was also trained as a Medical Technologist. Tricia Cheney owns a consulting business providing specialized training and clinical operations expertise to the biopharmaceutical and medical device industries. She has designed and developed numerous highly interactive training workshops that provide participants with a better understanding of the clinical research process and its relationship to regulatory approvals. Ms. Cheney has extensive experience directing Phase 1 through 3 clinical research trials in a wide variety of therapeutic areas in the US, Canada, and Europe. She has been responsible for four products that have received regulatory approval for marketing. Tricia has also written and trained on standard operation procedures (SOPs) for many biopharmaceutical and device companies. She is on the faculty of the University of California Santa Cruz Extension where she has taught one of the elective courses in monitoring for the Clinical Trials Design and Management Certificate Program since it began in 1999. Tricia received her BS from Madison College in Biology/Chemistry, completed her Medical Technology internship at the University of Virginia, and has completed 29 units towards her MS in Clinical Sciences from San Francisco State University.